The BMW 5 series is very highly regarded and is often seen as the benchmark for the executive saloon class alongside the Audi A6 and the Mercedes E-Class, and now, a sneaky Swede is planning on crashing the German party, and that Swede comes in the form of the Volvo S90. Whilst some things have changed with the S90’s appearance, the body is still pretty much the same as its predecessor. Having said that, the final product may well be different from the picture, so watch this space. It’s not due for a few years, so don’t hold your breath waiting to see what is going to look like. 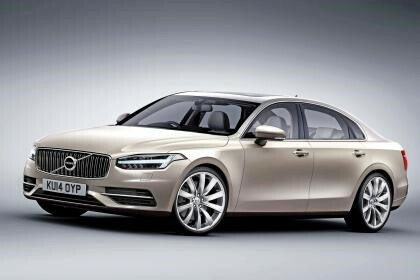 It will probably replace the Volvo S80.